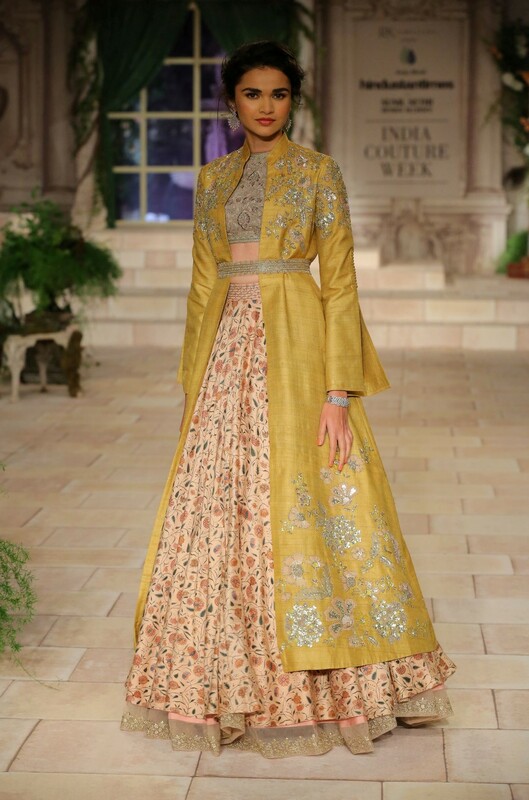 The 11th edition of India Couture Week 2018 came to a close Sunday evening with a spectacular show by couturier Rohit Bal. He presented his latest collection ‘’Guldasta’’ (bouquet of florals) which is an ode to the magnificent beauty of flowers. 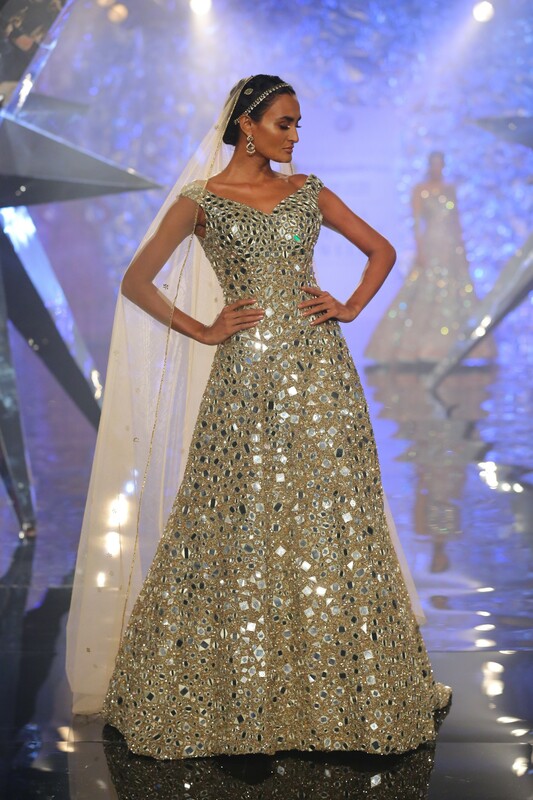 The ICW platform presents the latest bridal couture trends and sets the standard for the industry. 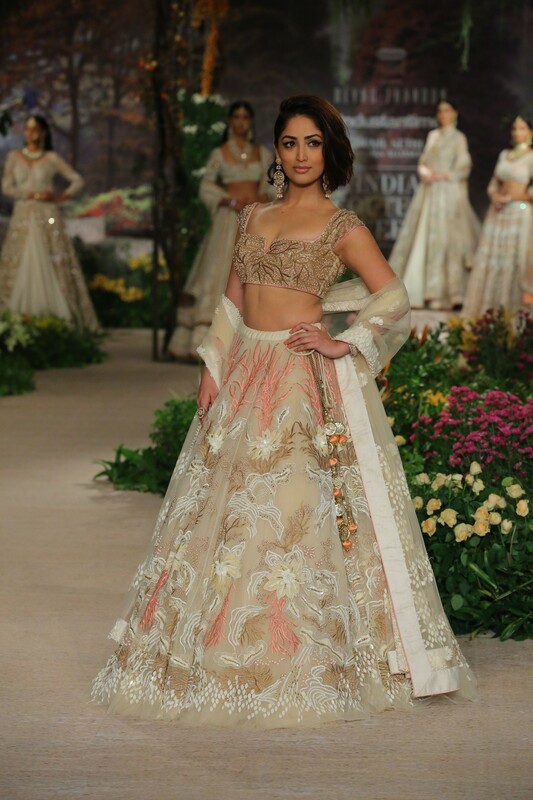 Brides-to-be across the nation and beyond take note, while Bollywood stylists mingle with the designers to get their hands on red-carpet gowns for their A-list clientele. These A-listers were also making appearances on the ICW ramp, as showstoppers included Bollywood actresses Kareena Kapoor Khan, Aditi Rao Hydari, Kangana Ranaut, Kiara Advani, Shilpa Shetty and Yami Gautam. 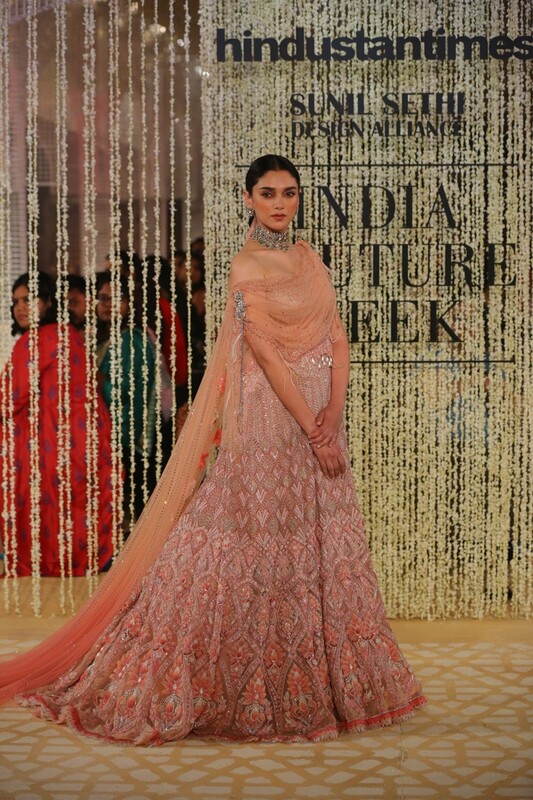 ”Guldastah” by Rohit Bal – ”In Elysium” by Tarun Tahiliani showcased by actress Aditi Rao Hydari. 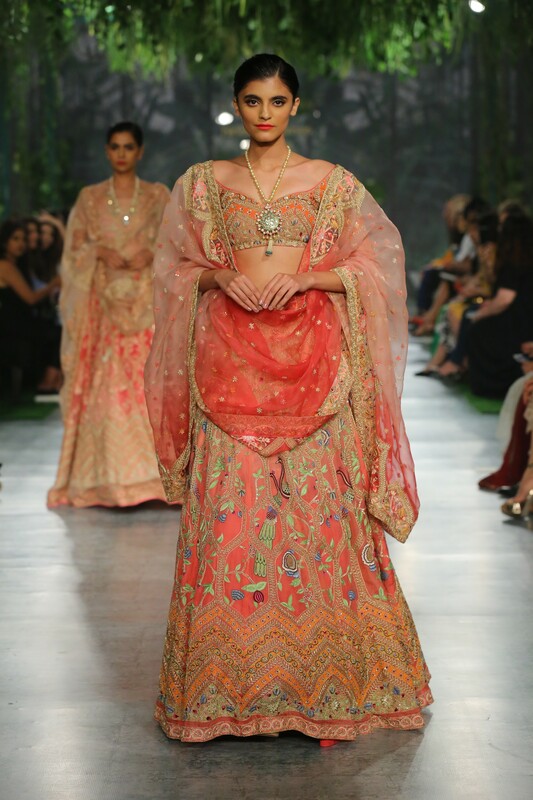 The Victorian era was the source of inspiration for Anju Modi’s “A Maiden’s Prayer”: its art, architecture, classic literature, music and extravagant fashion styles. The colour combinations are stunning! 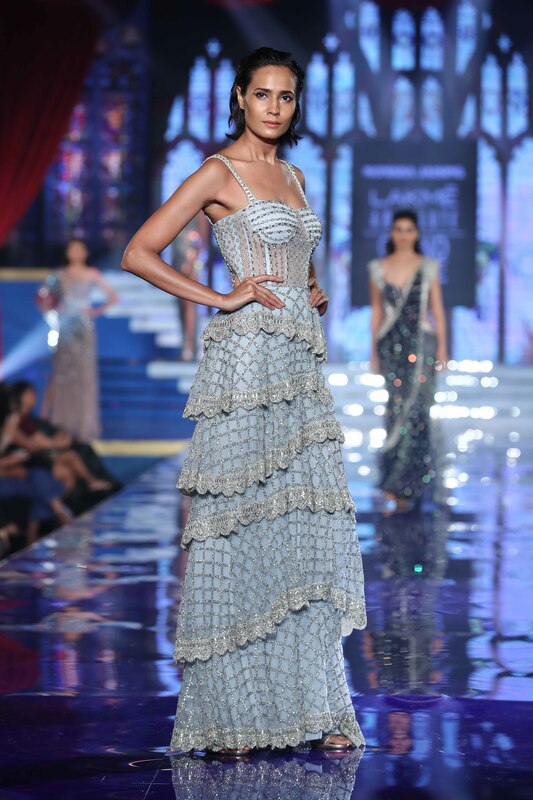 Amit Aggarwal was inspired by two natural phenomena for his collection ‘’Crystalis’’ (a derivation of the words crystal and chrysalis): the formation of crystals at a molecular level and the enveloping of the metallic chrysalis around a butterfly cocoon. Amit is known to incorporate sustainable materials into his innovative designs. Giving an extra dimension to his work. 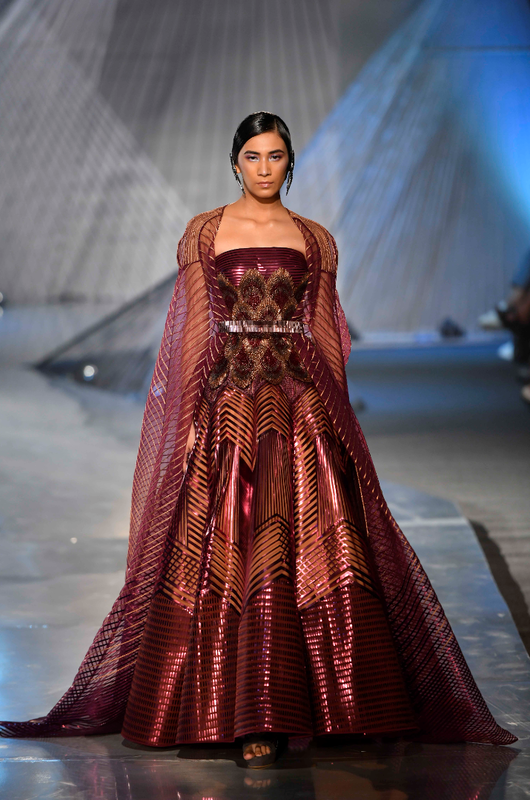 Suneet Varma’s couture collection “Naintara” is a theatrical representation of the modern Indian woman who lives in the now – yet embraces the romance of traditional Indian couture. Suneet’s pieces express sensuality and seduction. The mirror work on these gowns is exquisite! 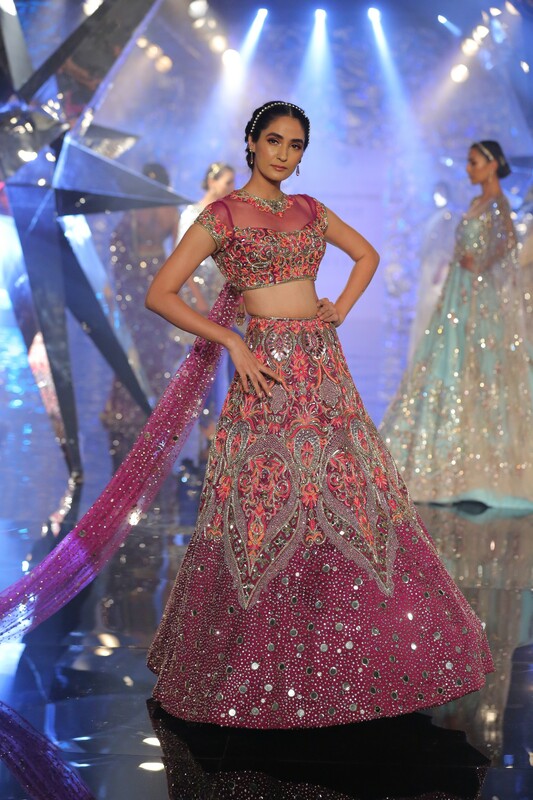 Falguni Shane Peacock unveiled their collection ‘’Amour De Junagarh’’. A story of a Parisian queen visiting the grand palace of Junagarh – Rajasthan’s cultural jewel. It is a breath taking collection that oozes glamour. Showstopper Kareena Kapoor wore a gold lehenga with feather details and silver embellishments. 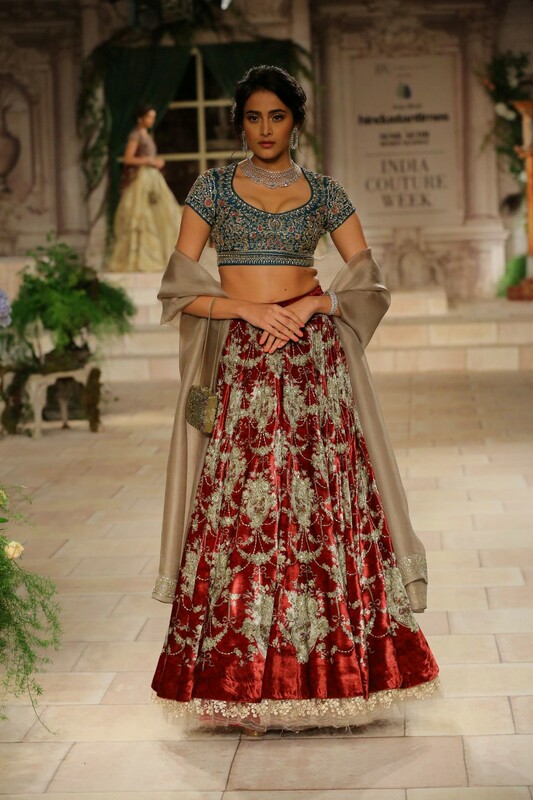 Shyamal & Bhumika’s ‘’Muse of Mirrors’’ is inspired by the regality and romance of ancient palaces, with their ornate archways, painted ceilings, silk upholstery and baroque carpets. Muse Kiara Advani appeared onto the ramp in a beautiful green ensemble like a fairy-tale princess. Pallavi Jaikishan debuted in the Indian fashion industry in the early 1970’s. For her ICW collection the veteran designer wanted to revisit and modify her old classics to a collection that resonates with the woman of today. Vintage glamour! 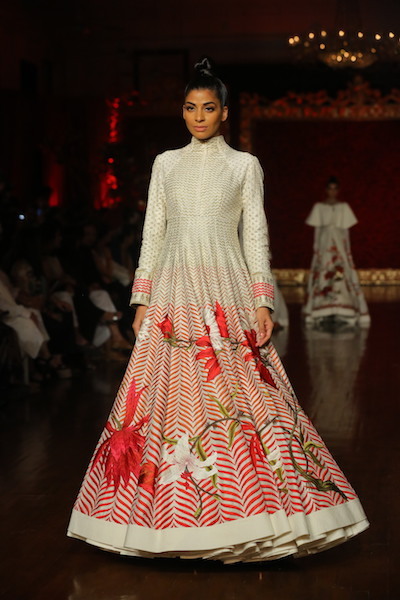 Rahul Mishra’s collection ‘’Maraasim’’ focuses on relationships and balance. The co-existence of nature and architecture, the balance between traditional and modern. Rahul was also inspired by art of the Mughal era. The intricate embroidery takes us on a journey. 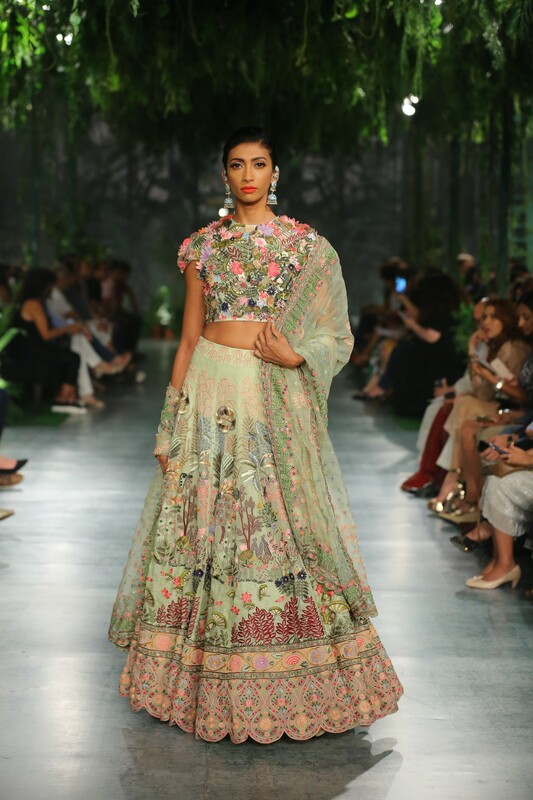 Just like Rohit Bal, Reynu Taandon was inspired by florals for her collection ‘’One upon a dream’’. It is a beautiful blend of pastel tones & whimsical flora. 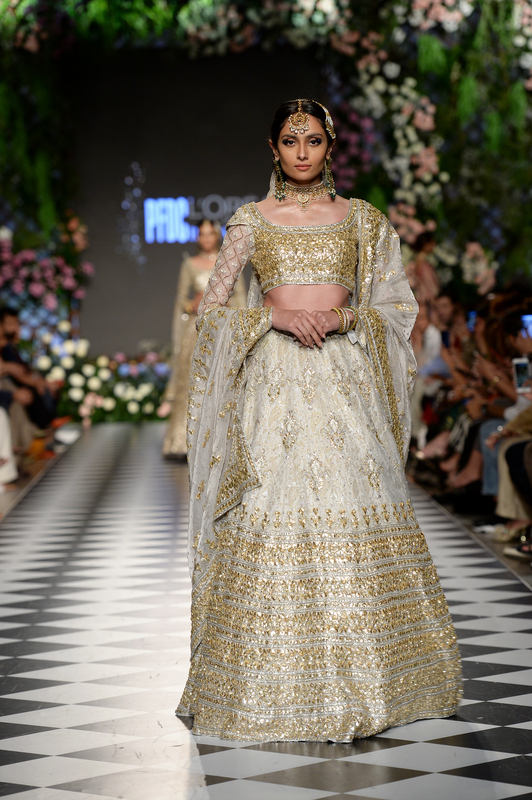 This edition of India Couture Week 2018 tells us that the modern-day bride has a mind of her own, isn’t afraid to break with tradition, embraces contemporary trends, but also honours her roots and heritage. Trends include a diverse colour palette, with preference to softer shades and pastels. Modern and traditional go hand in hand. 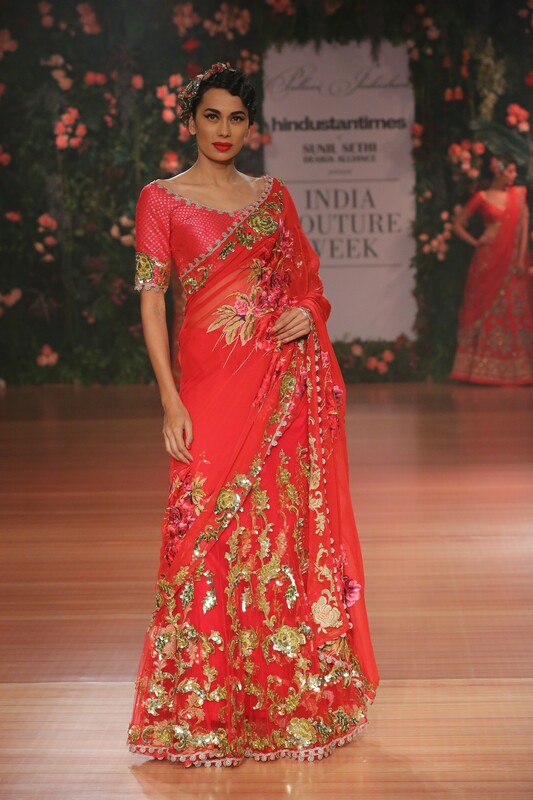 The neo-bride loves luxury and red-carpet glamour!